A new proposal from the SEC to require companies to disclose political spending is drawing a harsh rebuke from big business lobbyists. A new rule, sparked by shareholder complaints, would compel publicly traded corporations to disclose much of their political spending to investors. The Securities and Exchange Commission announced last month that it will release a rule-making in April of this year. The proposal arrives on the heel of the first post–Citizens United presidential and congressional election, which was the most opaque in recent history. The Huffington Post’s Paul Blumenthal reported that over $416 million was spent in the last election from sources that do not disclose donors. Lobbyists, especially those guiding large amounts of undisclosed corporate cash into the election, are not pleased with the SEC proposal. Trade groups that lobby for Walmart, Chevron and major Fortune 100 companies are registering their disapproval on the SEC’s open comment website. As we reported last September, trade associations and other nonprofit groups, not Super PACs, have been the preferred legal vehicle for many big businesses eager to take advantage of the post–Citizens United political environment. This is because 501(c)(6) trade groups can mimic the activities of a campaign committee (buying campaign ads, hiring GOTV staff) without the requirement to reveal donors. These trade groups—essentially lobbying coalitions for certain industries or similarly sized companies—are protesting the disclosure rule with a novel argument: there is no no need for new transparency requirements, we’re already regulated. Political and lobbying activities are already subject to very substantial disclosure regimes. 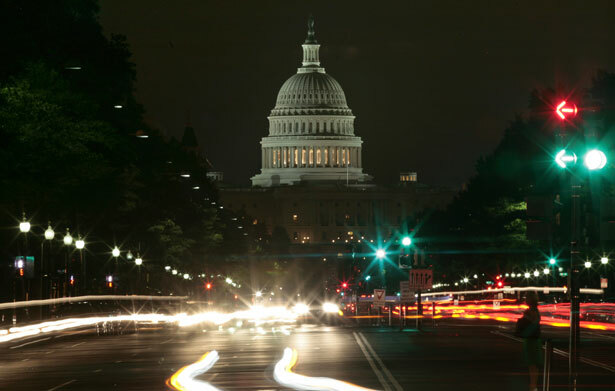 At the federal level, Congress has enacted detailed legislation governing disclosure of political expenditures, which has been implemented in even more detailed regulations issued by the Federal Election Commission. Similar disclosure obligations are in place at the state level. Harry M. Ng, the General Counsel for the oil and gas industry lobby, the American Petroleum Institute (API), wrote to the SEC in September of last year to make a similar appeal. API says the proposal would “effectively duplicate or “excessively complicate” current rules. “Existing federal campaign finance laws already regulate corporate political activity in federal activities,” Ng wrote. Though API does not disclose donor information, ExxonMobil, Chevron, Conoco-Phillips and other major oil corporations are dues paying members. Here’s how great the status quo is: the US Chamber of Commerce alone has spent at least $69 million in corporate money on candidate ads since the Citizens United decision without revealing a single penny of donor information. For API, they made nearly half a million in anonymous transfers of corporate money to groups sponsoring campaign advertisements in 2011. In other words, the groups protesting the SEC’s transparency rule are perhaps the perfect examples of why current campaign finance laws are woefully inadequate. Despite the lobbyists’ claims, existing disclosure laws are paltry and have not been adapted to reflect the Citizens United era of corporate spending. Current Federal Election Commission rules barely even cover expenditures, since ads that do not mention candidate names (even if they are clearly designed to influence a political race) do not need to be registered, and expenditures that do mention a candidate are only catalogued if they fall within thirty days of a primary or sixty days of a general election. Crony capitalism—the buying of political influence for financial gain in the marketplace—carries risk, so there’s a reason shareholders may want to know how companies are spending their money. Walmart, which pays for lobbying representation from the Chamber and the Retail Industry Leaders Association, has exposed itself to what could be significant liability for allegedly bribing officials throughout Mexico. Furthermore, under current disclosure rules, companies are likely wasting millions of dollars of investor money by continuing to dump very large sums into undisclosed attack ad efforts. The Chamber, which has long been associated with partisan political campaigns on behalf of the GOP, lost millions last year trying to elect long-shot Republican Senate candidates in Hawaii, Maine and Florida. And what if a company sends money to an undisclosed attack group, and that attack group uses those funds to elect a politician who supports policies that negatively impact that company? Shareholders are left in the dark about these decisions. Advocates for the rule are gaining momentum. Over 320,000 comments, from academics, political leaders, public interest groups and individual citizens have been received by the SEC “More than 150,000 CREDO members took time out of their busy schedules to submit a public comment to the SEC to help end the corrosive flood of anonymous corporate money into our political system,” said Becky Bond, Political Director of CREDO Action. It’s still quite possible that the business lobby prevails. Last year, the Chamber and API successfully pressured Obama from enacting a proposed executive order that would have disclosed government contractor donations to secret money groups.